Fellow Seibertronian EmirateXaaron has found a nice score at Burlington Coat Factory. Despite the name, this is a market six store, similar to TJMaxx and Ross. 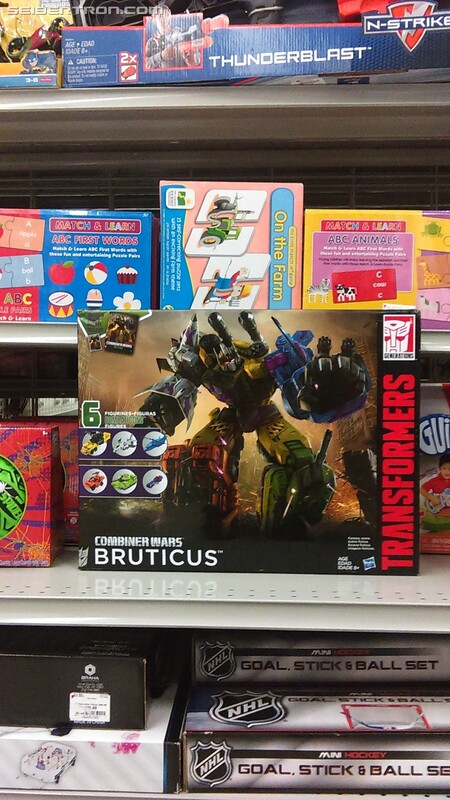 He found Combiner Wars G2 Bruticus for only $40. Have any of you visited Burlington Coat Factory yet? Find any other cool box sets? Let us know! Needless to say, I was rather pleased. I have one in my area, and the toy section is always a total mess. Will be back there first thing tomorrow. This is encouraging, because I'm not sure I should even bother canvassing TJ Marshaxx for these anymore. 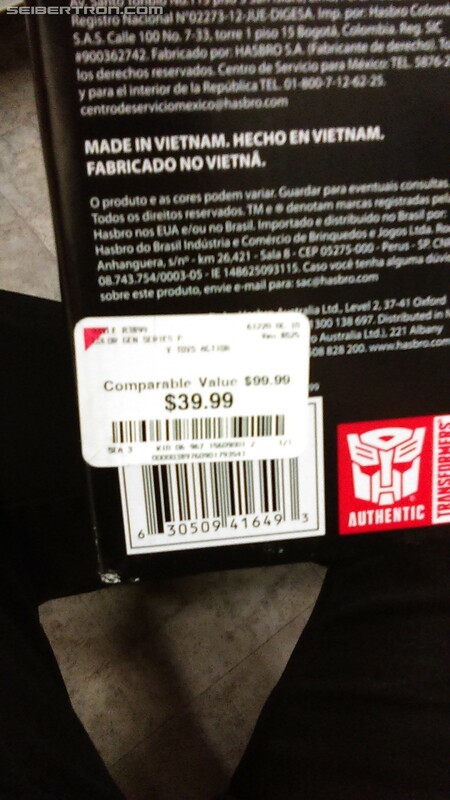 Only one of the half-dozen or so Marshalls in the genreal Novi/Canton/Livonia area (that I know of) ever got G2 Superion and Menasor in (Ford road, by Ikea, for fellow Michiganders), and when I called them 2 weeks ago, someone told me that those were just specials for the Christmas rush, and there's no chance of anything like that coming back in stock until they do some back-to-school specials sometime in this summer. I keep making the rounds anyway, since I missed G2 Dudicus and Compy's HTS blowout, and you never know what you'll find there. But yeah, "Coat Factory" just doesn't stick on your toy radar, even once you know they carry them, now does it? Bumblevivisector wrote: I have one in my area, and the toy section is always a total mess. Will be back there first thing tomorrow. I've worked at BCF, and they actually made the move to drop "Coat Factory" from most of their advertising a couple years ago. And I can also confirm that the way they order stuff is rather odd. We get Hasbro cases on a regular basis, though it's usually a hodgepodge of several different toylines such as Transformers, My Little Pony, etc. So, while I can't say for certain that every stores gonna have TFs year-round, I would definitely check around sales and holidays, as they tend to go for giftset-esque items. I knew I should've posted those pictures I took last week when I found 3 of him at my local Burlington. Anyways, I also found some RID stuff there too, which I'll be posting in that thread. Stupid broken leg!!! Hopefully there will be some in 3 weeks when I can drive again. I work at Marshalls and toys for us are light this time of year. Picky up closer to Easter. What is funny is this the the photo from Seibertron that I see stolen and used on ebay most. Most of them used it for the main photo too either not realizing or not caring that it is of a customization and not the retail version. I used to point it out to sellers that they are using a photo improperly that doesn't depict the actual item, and most would take the photo down. It is quite a testament to the quality of the photos here though, great work. i searched high and low across 3 states but wasn't able to find g2 superion anywhere. STPrime wrote: i searched high and low across 3 states but wasn't able to find g2 superion anywhere. I live in a top 20 populated area in the United States, and only saw a couple quite accidentally. For the most part CW box sets were not available in stores in the U.S., only in Canada, and other countries. Here you had to pretty much purchase them online. If you search back through this thread you will see the occasional sighting in a store, but those were probably mostly errors, or "Market 6" findings (TJ Maxx, Ross, Marshalls etc.. and now I guess we can add Burlington to that list as well) . Yea the G2 sets were readily available at Marshalls and TJM in the NYC/NJ area during the holidays. Haven't seen it at all since. He is right here for over 25% off and free shipping. william-james88 wrote: Hes not out yet, officially. 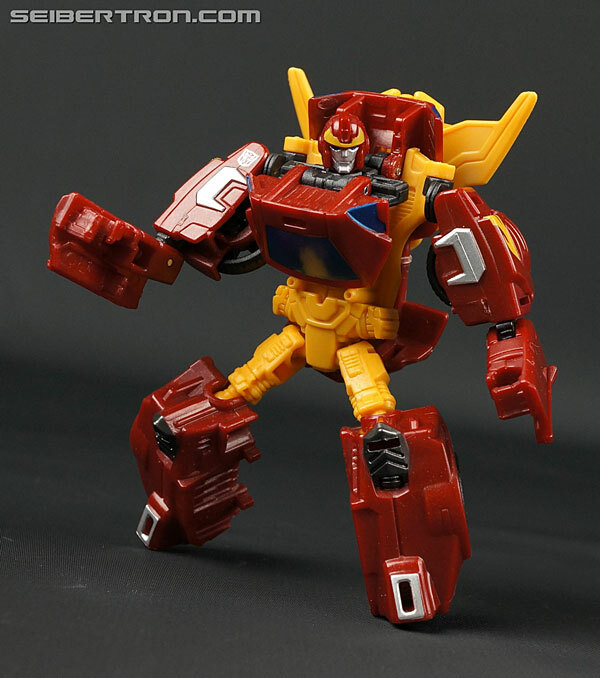 Worst case scenario is that you will have to import him from the either the chosen prime or somewhere else (BBTS maybe). he will only be 11 pounds, so while you might cut a loss for shipping, at least you wont be taxed when it arrives due to its low declared value. Your defensor will be complete, you'll just have to pay the shipping for a groove sold elsewhere. And thats IF Kapow doesnt restock when groove actually gets released. I wrote this back in May and this is me being true to my word. Though due to Brexit, Groove is now 13,53 pounds rather than 11. But still, what I wrote holds. He is available for cheap for whoever wants him, and that low price should offset the shipping. We all just needed a bit of patience. Good for the folks still looking. I payed for him, but I enjoyed the thrill of the hunt and found that hit to be worth paying the extra for. So I regret nothing. I think I paid the full $17 in early summer also, but again no regrets. Still I do find it odd that a whole case of Deluxe Groove showed up at a Wal-Mart in my area in December... I don't know if a scalper picked them up, but they were all gone last I checked. I figured even at $10 a pop, after shipping etc... the profit from selling them on eBay, if any wouldn't have really been worth it. o.supreme wrote: I think I paid the full $17 in early summer also, but again no regrets. Still I do find it odd that a whole case of Deluxe Groove showed up at a Wal-Mart in my area in December... I don't know if a scalper picked them up, but they were all gone last I checked. I figured even at $10 a pop, after shipping etc... the profit from selling them on eBay, if any wouldn't have really been worth it. it really wouldnt, I doubt be could sell them for less than 17$ shipped. And Insurgent, I am glad you commented since this was mainly in response to our discussion 8 months ago. But yeah another consolation is not just the hunt but the fact that none of us could predict he would be readily available 5 months after the facts back when he was rarer than a chicken with teeth in may. So? O.supreme was talking about December. Back when he was readily available for cheap. 4,285 pages were recently viewed by 650 unique visitors. This page was viewed 1 times on Wednesday, April 24th 2019 9:26pm CDT. © 2019 Seibertron, Inc. DBA Seibertron.com. All Rights Reserved. Established June 2000. Seibertron.com is owned by Ryan Yzquierdo.